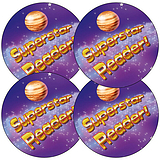 These great superstar reader personalised reading record books are ideal for teachers and parents to keep track of pupils' progress and achievements in reading. 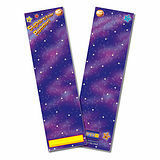 You can add wording of your choice to the front and back cover of these reading record books. 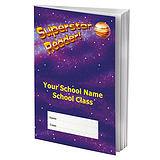 Simply click customise, choose your template, add wording and style it to suit you.